No one can deny that sometimes curling irons can become a complete pain. But do you know the fact that you no more require any styling tool or curling iron to curl your hair? If arm aches, hair damage and sweat are some of the struggles you are countering, don’t worry, we have a solution. 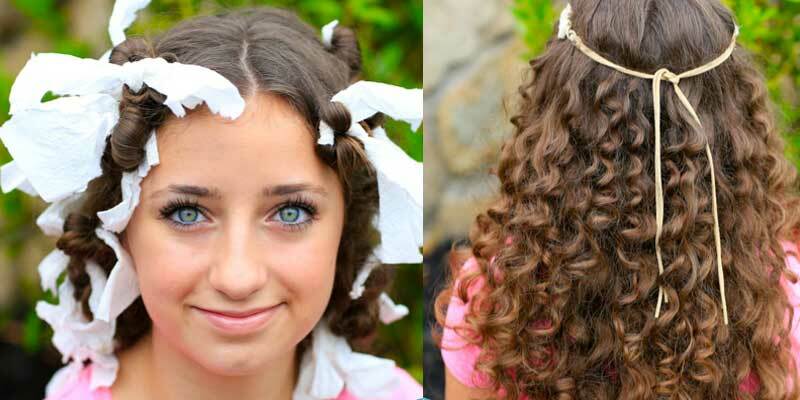 You would be elated to know that there are multiple ways to have curls in your hair without using a curling iron. And all of these provide you the results that appear way more natural. Hair rolls are the hottest thing happening all around today. From glamorous Hollywood divas to fashionistas, everyone is sporting curls. Every girl wants healthy and beautiful hair. This is the reason why every girl does not want to curl her hair with curling iron as it can damage and harm hair. No doubt, curls are the best way to enhance volume of your hair and get more amazing hairstyles. But does it come at the cost of damage by heat? 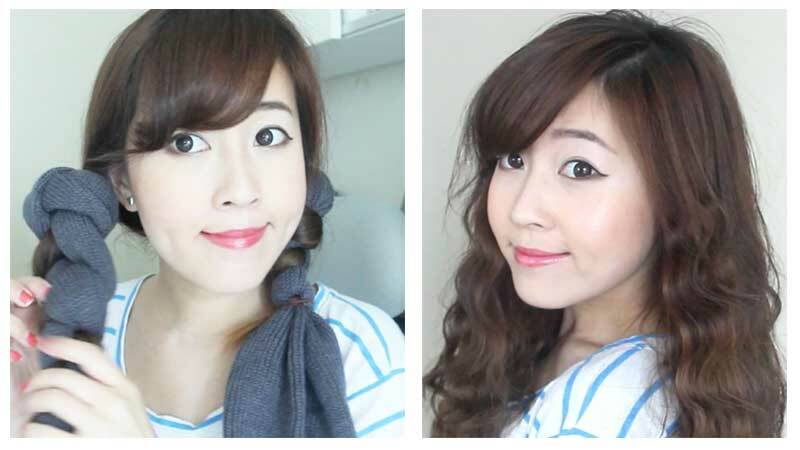 One question which is commonly raised among the girls is how to curl your hair without a curling iron? Do not fret, you can actually curl your hair without a curling iron taking help from the below guide. Note: You can make your hair curly with flat iron to get instant result. For this purpose, if you need proper guide, you can read the following article “How to curl hair using flat iron”. If you have ever wondered how yesteryear women have beautiful pin curls without any heat, your answer is rag curls. To have them, take one inch wide fabric strip and roll sections of hair all around that strip till you reach root of your hair. Do the finish off with tying fabric loose ends. Continue on every piece of hair and then sleep with the curls during night. Read Also: Some successful (A-Z) tips for How to Straighten Hair with a Flat iron. Pull a fabric headband in your air dried or damp hair. After that divide your hairs in two parts and begin with rolling one part backwards, far from the face. Put all the rolled hair under headband, so the roll goes all through the headband and repeat it till the whole part is rolled around the headband. Follow the same process on other portion of hair. Using socks is the ideal way of getting smooth waves in your hair. As a result, your hair will appear as great as when rolled with curling iron. Take a used sock and cut its toe part and twist it in the doughnut shape. For this, first you have to make a ponytail then pull the ponytail through the sock. After that wrap your hair and tuck them securely. Roll sock around the hair to include more bounce. Continue tucking and rolling till you reach at the top of head. 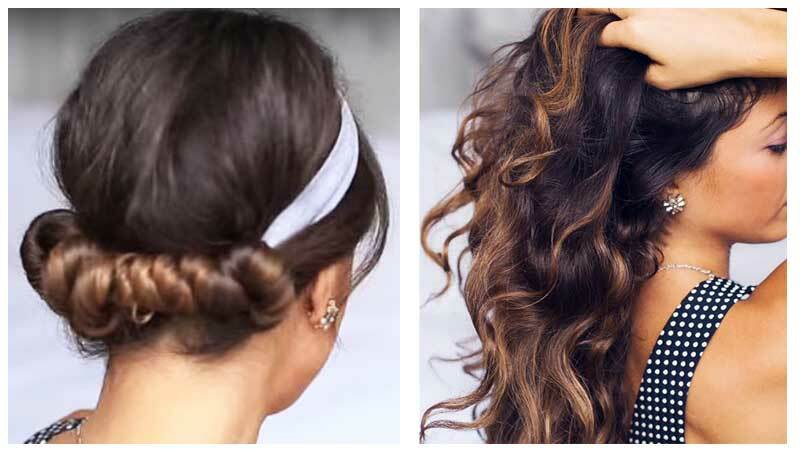 Now, secure the bun with pins and then sleep with the bun and open it in the morning to get gorgeous tumbling curls. Part your hair and start braiding when it is 75% dry. If you want curls toward ends of the hair, make two braids on both sides of your head. In case you want waves close to the roots of the hair, make two French braids on both sides of your head. You should ensure that the braids are secure tightly so your hair does not frizz out when opened. 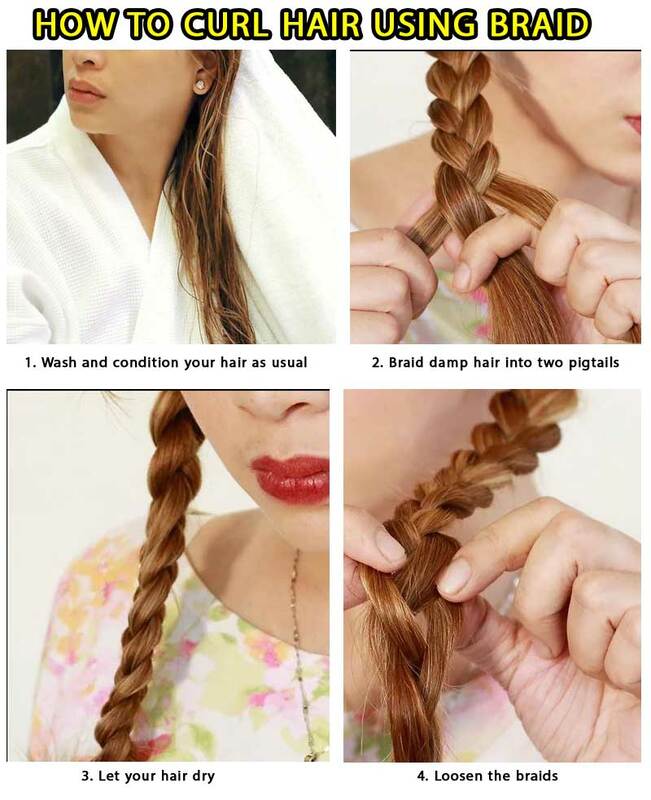 Keep the braids till your hair gets completely dry. This traditional style never goes out of trend and it is damn easy to curl your hair without any heat. All what you have to do is pin hair before bed to rise up with beautiful curls in morning. At first, you have to section out the top crown of hair and secure them in a bun. You have to work on this section at last. Take a single inch portion of your hair from the side and fold the end around the index finger to make a loop. Hold it with your index finger and thumb in place. Begin rolling the portion upwards till it snugs against your hair roots. You should also ensure rolling your hair up and away from the face. Hold the twisted section straight against the scalp and secure it with a pin. If the portions are broad, hair pins will make indentations in your hair. Repeat the process with the remaining hair. Once the bottom section of your hair is done, you can work on crown till all your hair is secured with hairpins. Lastly, you have to wrap your hair in a silk scarf to keep the hairpins in place and go to sleep. How to curl your hair without a curling iron is one trending question that can be resolved using this method too. For this, you have to simply brush your hair and separate it in two portions tightly. Secure one side with a hair tie and then repeat it on the other portion. Then you just have to sleep and in the morning when you open your hair, you will find yourself with beautiful light wavy hair. This process is quite popular due to the springy and tight rolls it provides. This method works for all types of hair and assists in soothing frizz of your hair and gives the perfect curls. 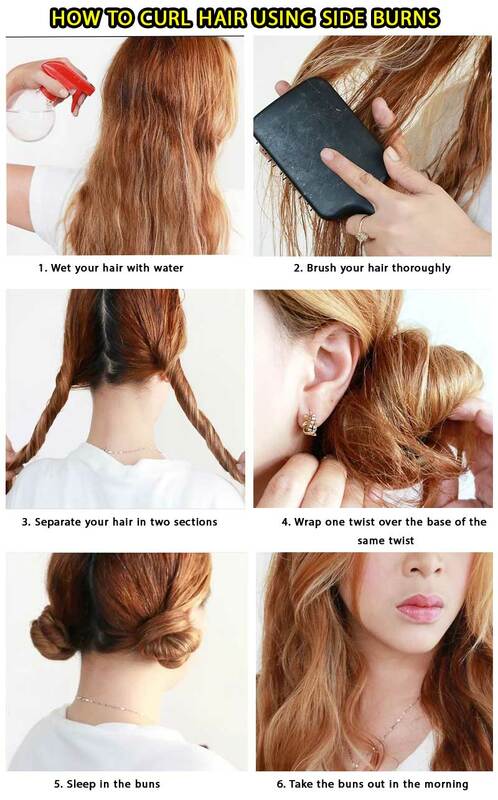 You can try this method when your hair is 80% dry. Collect sections of your hair and start rolling till it looks similar to a rope. Twist this portion around itself tightly to make a little twisted bun then secure it with a pin. 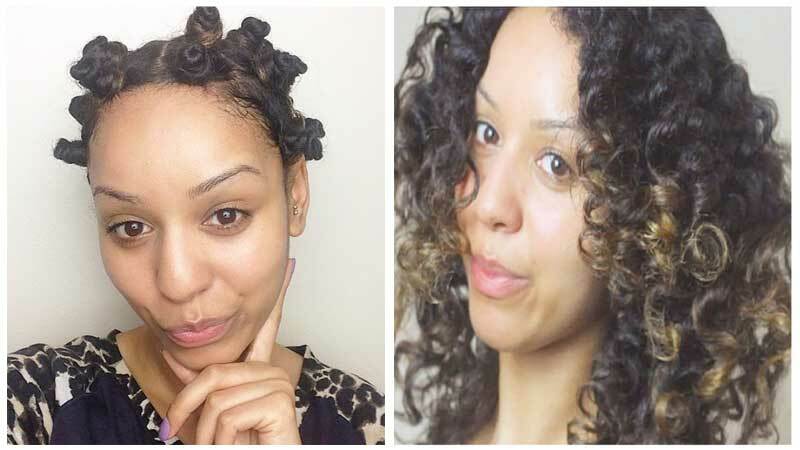 Repeat this till all your hair is up in bantu knots. When complete hair is done, you can wear a shower cap and leave it for a night. Undo all the coils in the morning and comb your hair with fingers. Scrunching provides the natural curl to your hair, makes it curly or wavy depending on the texture of your hair. 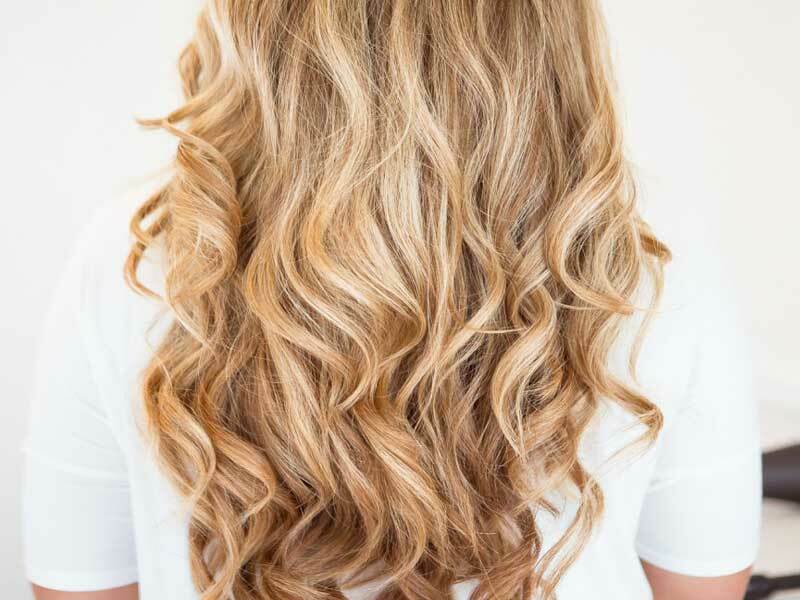 It is one of the easiest and quickest methods to have messy curls. For this, you have to simply wash and condition your hair. In damp hair, you have to apply small amount of gel. After that bend forward and begin scrunching hair with the product. Scrunch hair in the same manner, you crumble a paper. And don’t apply any product close to your roots, as this may make your hair look greasy. Have a pack of hair curlers: If you want small and tighter curls, get smaller rollers and if you want large ones then get a large sized roller. 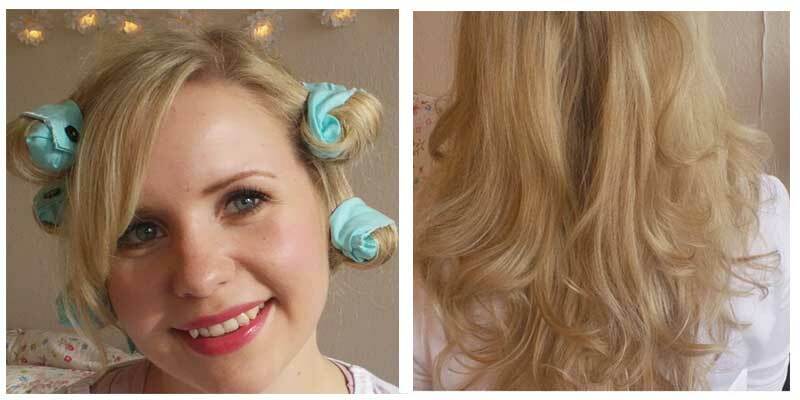 Start with the sectioning of your hair and roll up your hair in the roller. Then secure the roller with a pin in place. Similarly repeat the process again for the whole head. Wait for around 4 hours to undo the rollers. In this process, you have to cut a t- shirt into long strips as many as possible. At first, you have to separate a small portion of your damp hair using a comb. Start with lining up a strip at the end of hair length and then roll your hair up toward the roots, having the strip in place all the time. When you roll the strip and your hair to scalp, tie the strip ends to hold the twisted hair in place. If you want waves at the ends of your hair, stop rolling halfway up. Wait for several hours and you are done with your amazing curls. You can use tissues to roll your hair and it is another great alternative of using rollers. This process gives you springy and tight rolls which look natural. For this, you have to take a towel of paper and roll it about length of 4-5 inches and width of one inch. Take 1-2 inch portion of your hair and roll the hair ends around the center of paper towel. Begin rolling upwards till you reach your scalp and then secure the towel paper by tying around the rolled hair. Further, you have to repeat this process with the rest portions of your hair. Sleep with this paper towel in your hair and undo them in morning. You can finger comb your hair and give finishing with some hair spray. You may be thinking that the above methods can be used for all hair lengths or not? Well if you are wondering how you can curl short hair without a curler, then we assure you that above methods are workable for short hair too. Rather the headband roll and the braiding are perfect for short length hair. Now, you don’t need to subject damage to your hair anymore! Many of above mentioned methods provide you results that last for 2-3 days. Keeping heat styling in use will do a lot of loss, damage and dryness to your hair. 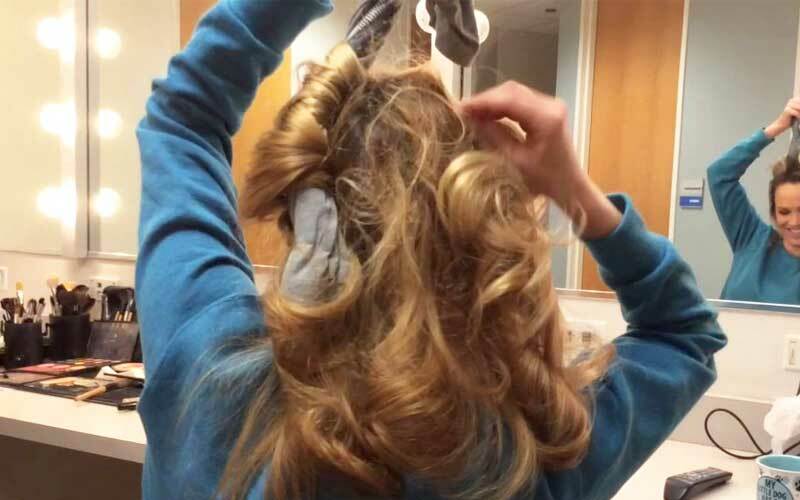 So think twice while plugging in that curling iron. It is expected that the common question: How to curl your hair without a curling iron is solved now. You can try one of the above mentioned methods to get vibrant and bouncy curls.